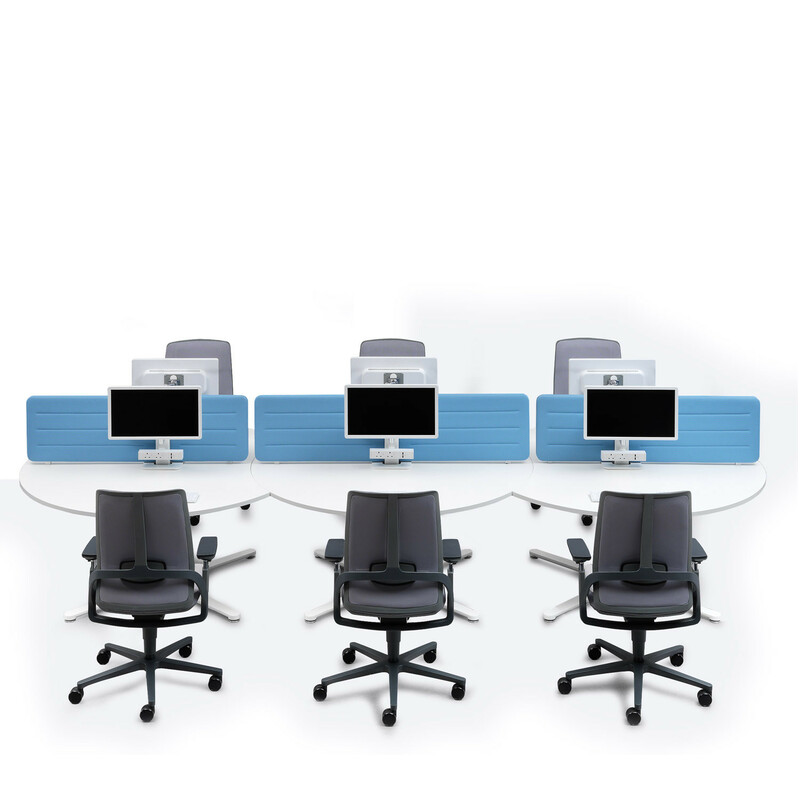 Orb Desks is an innovative fresh desking solution that frees the office with 360 degree circular desktops. Orb office desk's design permits a natural fluidity to the workspace allowing gentle crescents to be created through the simple interlocking of workstations. 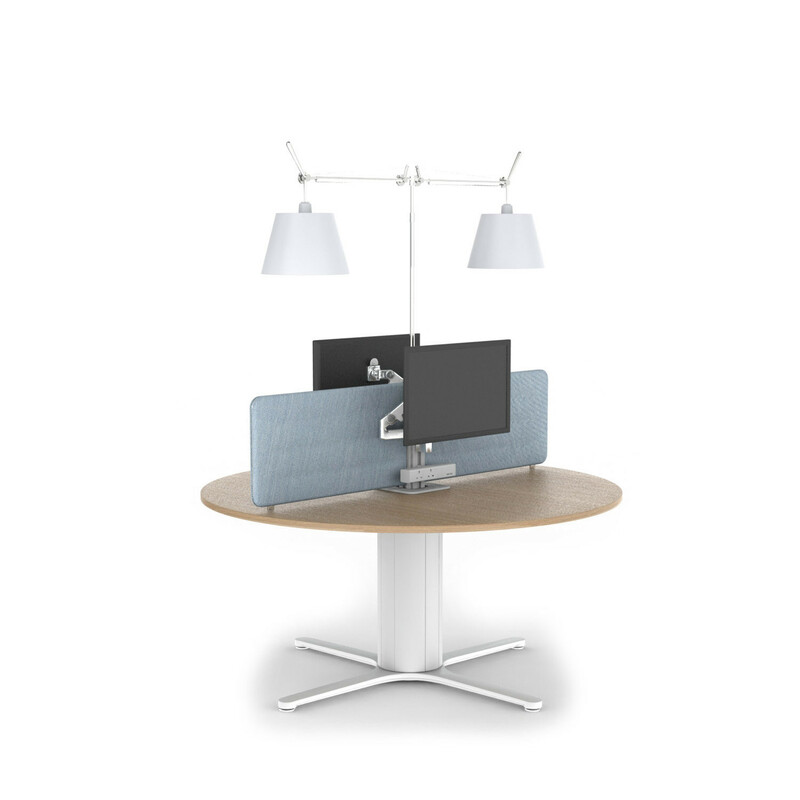 Orb desks feature a 4 star cast aluminium base, aluminium column with integrated vertical cable management and aluminium cable port with lift off covers. The metalwork is available in White or Black powder coat and the tops can be specified in a choice of MFC finishes with complementary edging detail options. Orb Desks has been designed to have a minimum impact on the environment, being 99% recyclable and containing over 65% of recycled materials. 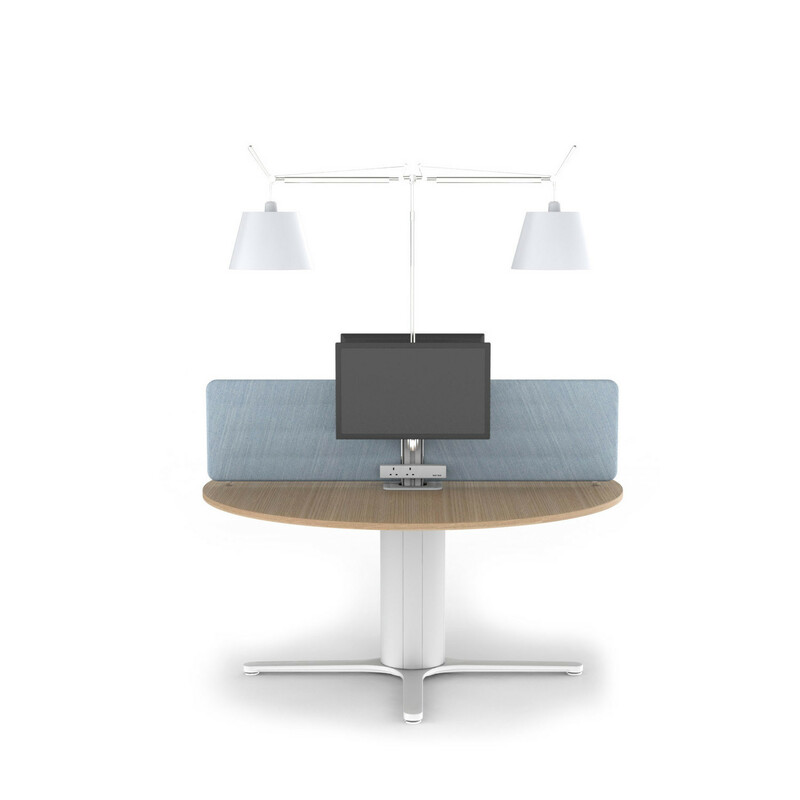 Orb Desks also supports the environmental case for reducing overall lux levels in the office offering user controlled lighting. View more office furniture from Senator Furniture. You are requesting a price for the "Orb Desks"
To create a new project and add "Orb Desks" to it please click the button below. 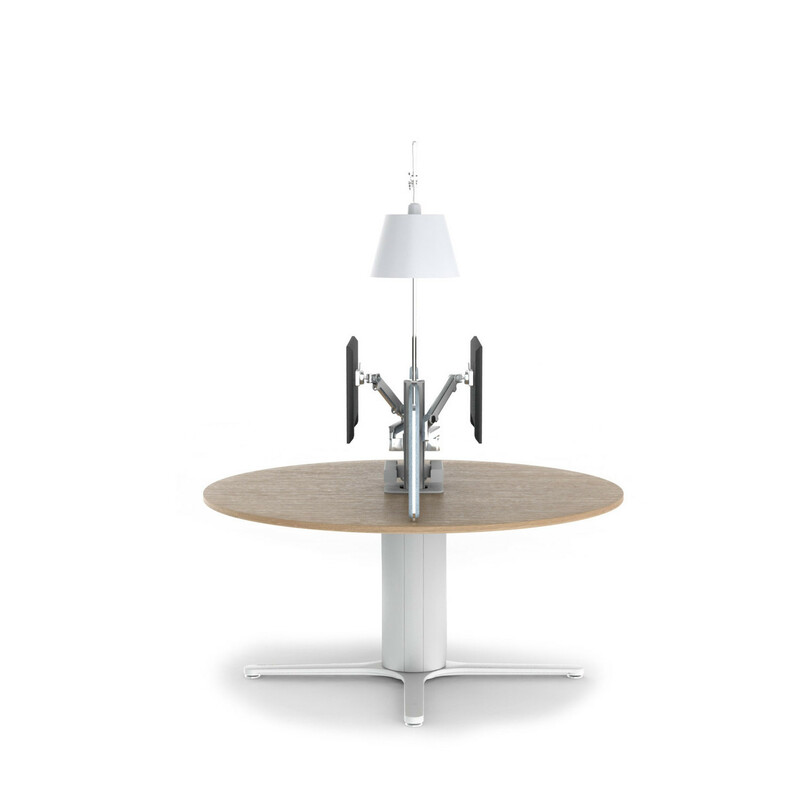 To add "Orb Desks" to an existing project please select below.